What and when is the show? The 2017 production will run from July 20–August 6 on Thursday, Friday, Saturday and Sunday evenings only at 8pm. There are no matinees. The performance begins promptly at 8:00pm. The show will run about 2 hours with one intermission. What is the location of the event? What about parking? 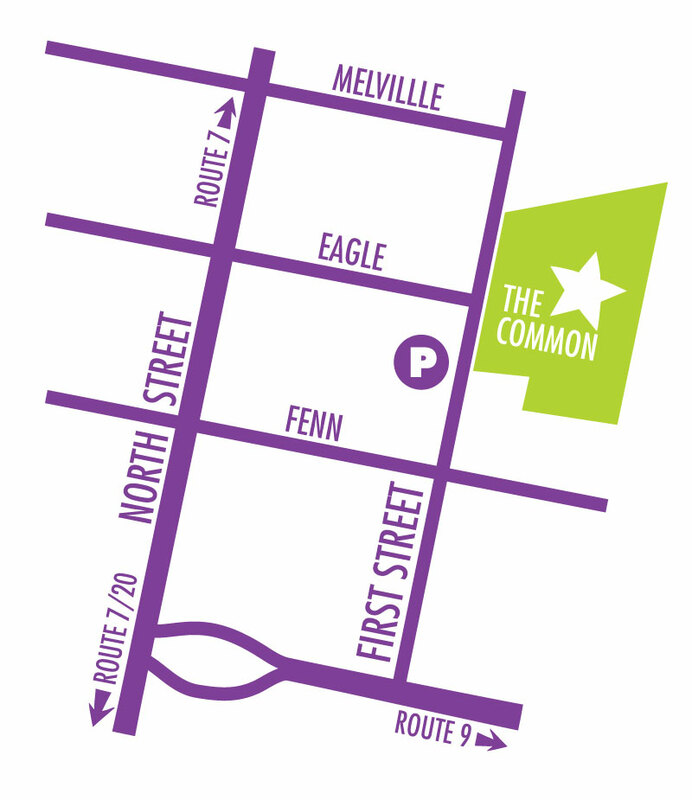 Performances take place at Pittsfield’s First Street Common (next to the Zion Lutheran Church, 74 First Street). Parking is available in the public lot directly across the street. Unless it’s raining hard at 8:00pm, we’ll plan to go on with the show. We won’t call off the performance until the last possible moment. We all know that summer weather in the Berkshires is unpredictable — a late afternoon shower can move on to leave a beautiful balmy evening. Bring your own seating, and choose an open spot on the gently sloping lawn. There will be areas for blankets, low lawn chairs and higher folding chairs. Admission is free, although a suggested donation of $5 is graciously accepted to help offset costs. Our friends at the Zion Lutheran Church will have lawn chairs available for rental at the performance. Feel free to bring a picnic and snacks. A sweater or jacket will come in handy, as the nights do get chilly after sundown. Please do not bring sun umbrellas — the sun will be low in the sky by then and not a problem. No dogs, please. What about wine or beer? Alcoholic beverages are not permitted in the park, and will not be sold at the performance. Smoking is strictly prohibited in all of Pittsfield’s beautiful parks. Bottled water, popcorn and other treats will be available courtesy of the Zion Lutheran Church. The Rainbow Restaurant, located just across the street, will have a special food menu available for delivery directly to the park. They will also be on hand to sell a selection of food including pizza at the park.